For orders, postage and packing are billed according to the current postal rates. The amount of shipping costs, depends on the weight of the package, its size and the destination of the delivery location, your country and your department. Our goods travel at the risk and peril of the buyer, despite the retention of title clause, regardless of the shipping terms. It is your responsibility to check the condition of the goods upon receipt, and if necessary to incur the liability of the carrier, even when the shipment is free of port. No packages will be sent without prior payment. Method of payment: Check, CB, the counter-reimbursement (expenses in your load). 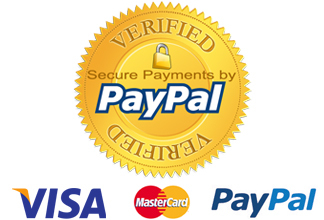 Payment for your order is made online by credit card, Visa or MasterCard. With this system, your card payment is made directly to the secure server of our LCL bank on our behalf. At no time will your card number be communicated to us. The exchanges are encrypted and secure thanks to the SSL 3 protocol (Secure Socket Layer) on the Internet, a protocol that has become a global standard and is usable by the main browsers. FIA-NET SA This treatment is automatically automated. FIA-NET SA for the deal and the control to the fraud by the banking. FIA-NET S.A. and the merchant from whom you make your purchase are the recipients of the data with your order. Non-transmission of data with your order. The occurrence of an unpaid bill on the grounds of fraudulent use of a bank card or other means of payment by FIA-NET SA An irregular declaration or an anomaly may also be subject to specific processing. In accordance with the Data Protection Act of 6 January 1978, you are fully entitled to access, rectification and deletion of your personal data, by FIA-NET, by mail and by post justifying your identity, at FIA-NET - IT Service and Freedoms - Treatments n ° 773061 and n ° 1080905 - 3/5 Rue Saint Georges, 75009 PARIS. The price is expressed in euros. The price indicated on the product sheets does not include transport. The price indicated in the confirmation of order is the definitive price, expressed all taxes included and including the VAT for France and the countries of the EEC. All products offered are available in stock. Nevertheless, given the specificity of the products offered, we are not always able to restock with our suppliers. Our offer is therefore within the limit of available stocks and exceptions reported. The updating of our product database is in principle regular. Nevertheless, displayed products available may sometimes not be available at the time of processing your order. 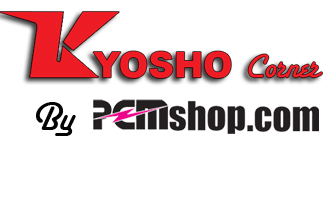 Therefore, the customer expressly disclaims "PCMSHOP.COM" of all responsibilities due to the constraints mentioned above. Therefore, if the products ordered are available, your order is processed within 3 working days and delivered within a period not exceeding 15 days depending on the destination. If the products ordered are not available on the day of processing your order but can be replenished, they will be shipped to you as soon as they come into stock. If the products ordered are not available in stock at the time of processing your order and can not be replenished, we will inform you of the situation by email. The goods remain our property until the full payment of their amount, even in case of granting of payment period. You have 8 days to return items that would not fit. You must return them in their new condition and their original packaging with their invoice. The shipping costs are the responsibility of the customer. We strive to ship your items upon receipt of your payment. However, some items may be out of stock and in this case the delay could be extended. Delivery times are purely indicative and under no circumstances could they engage our responsibility. Only the carrier in charge of the parcel may be sued in case of late delivery, strike, flood, fire or other natural disasters and generally all events not allowing the proper execution of the order. Except in case of force majeure, delivery times will be, and within the limits of available stocks, those indicated above. These deadlines excluded Sunday and holidays.